If you are a young Aussie keen to work abroad, there are many working holiday visas for Australians to choose from. 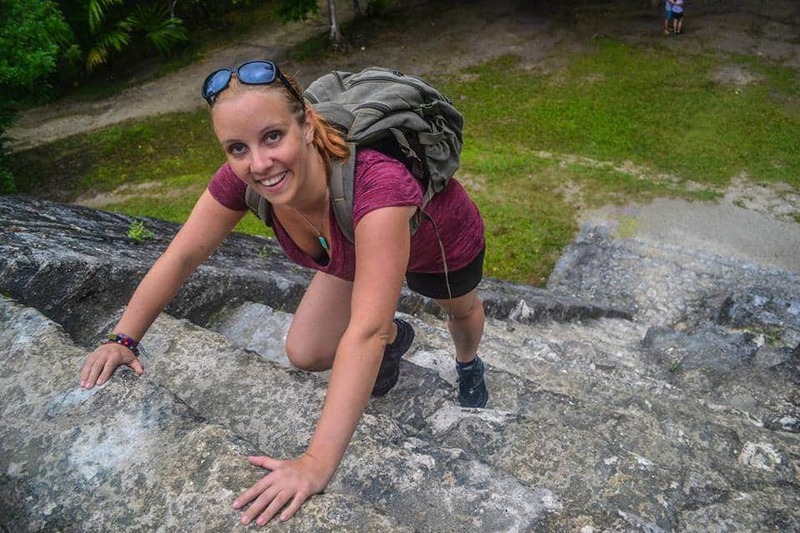 A working holiday visa is a great way to travel long term. It allows you to live in another country for 12-24 months and permits you to take up employment while you are there. Each visa has its own requirements, but they usually ask for you to show proof that you have enough funds to support yourself as well as other requirements. Instead of saving up your cash and then blowing it all on a short trip, you can work in your destination and make money to fund your travels as you go. Plus, you get the opportunity to experience working life in another culture, make connections and gain experience. If you dream of working abroad, you’re already ahead of the game just by being born Australian. That’s because Australians have a huge choice of countries for which they can obtain working holiday visas. There are 34 countries to choose from on this list of working holiday visas for Australians, so scroll through and see which country appeals most to you. Some of these countries have only recently started their working holiday visa programs. For example, Vietnam is one of the newest destinations that has been added to this list, offering you an opportunity to work abroad there that wasn’t available before. This list of working holiday visas for Australians is by no means in depth. Information about these programs can be difficult to find online. In some cases these programs are set up more for people who are travelling in the other direction. For example, the Bangladesh working holiday visa is more often used by people from Bangladesh working in Australia and not the other way around. If you struggle to find information about any of the working holiday visas online, we recommend getting in contact with the embassy of that country in Australia. If you have experienced any of these programs or you have more information about them please contact us. If you aren’t sure where you want to travel, scroll through the list and read about each country to get some ideas. If you already know where you want to go – use the Table of Contents to jump to that particular country! If you tell your friends you are going to work abroad in Andorra, you might get a few confused looks. Many people don’t know much about this small landlocked country. Andorra is a tiny little country wedged between France and Spain, offering fantastic skiing and hiking in the Pyrenees mountains. It is the only country in the world that has Catalan as its only official language, but Spanish, French, Portuguese and English are spoken as well. Although it is located geographically in Europe, it is not a member of the EU. This would be a perfect destination if you love sports and the great outdoors. The summers are cool, making the ideal conditions for hiking in the green valleys and rugged mountains. In the winter it is a paradise for skiers, snowboarders and snowshoers. 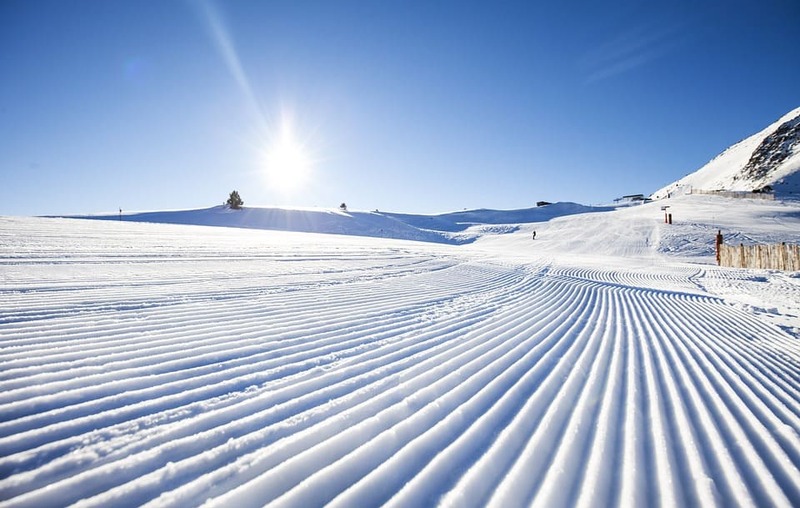 Perhaps you could work at one of the world class ski resorts and enjoy a winter in the snow? Tango dancers weaving, full bodied glasses of red wine, juicy steaks cooked to perfection – Argentina is a treat for the senses. The capital city, Buenos Aires, has a fascinating blend of European inspired architecture and vibrant Latin American atmosphere. You can gallery hop during the day, dine on superb Italian cuisine or steak in the evening, then dance until the sun comes up – the nightlife scene goes late. Or, you can paint your face and shout and scream at the local team at an Argentine futbol match. Whatever the locals do here, they do it with passion. 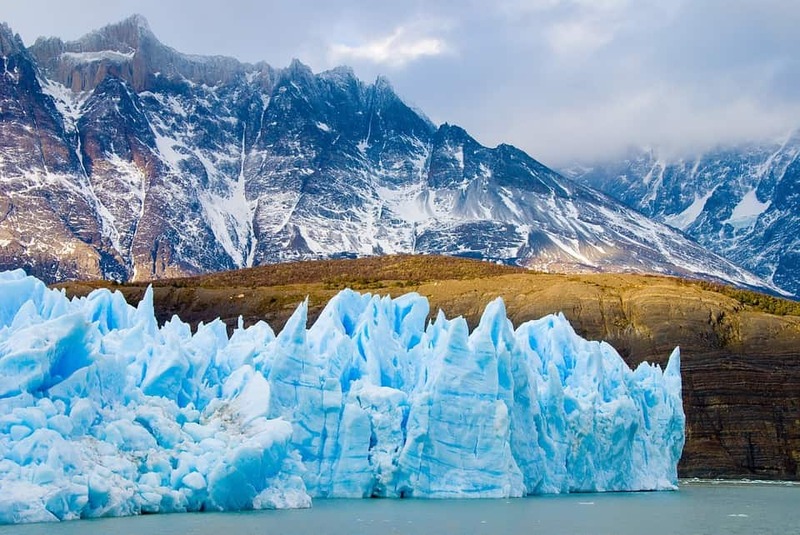 When you venture outside of the cities, you’ll find some of the most spectacular scenery on the continent, from the towering icy peaks of the Andes to rich wetlands to the mighty roar of Iguazu Falls. Working abroad in Argentina gives you the freedom to explore all of this at your own pace. Unless you have a special skill or you speak Spanish, the type of work you will be able to find in Argentina will probably teaching English or working in a hostel or expat bar. Although these jobs won’t make you rich, they can be a good way to extend your travels. Bangladesh is a gorgeous, green, unspoiled paradise in South Asia, braided with rivers and covered in jungles and mangrove forests. 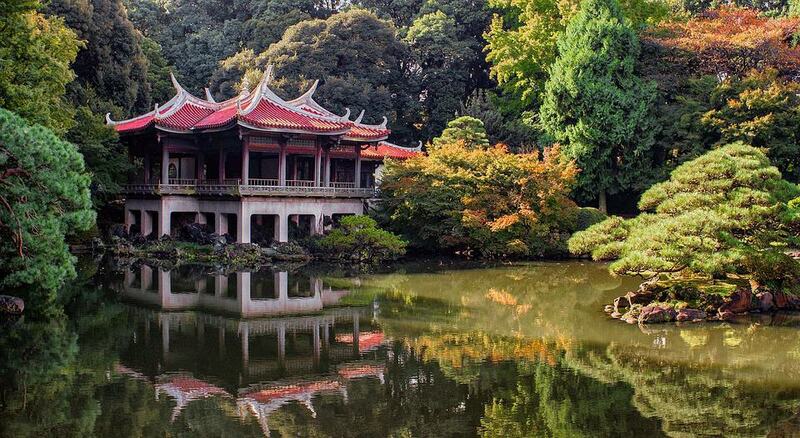 It’s a land of Buddhist temples and national parks where tigers roam. The culture is known for its warmth and hospitality and although the poor infrastructure means you won’t be going anywhere in a hurry, you’ll be so relaxed and bewildered by the beauty around you that you won’t care. 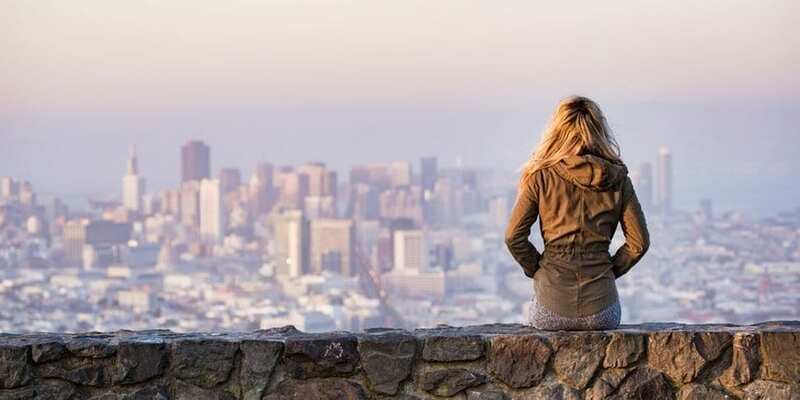 The Working Holiday Visa agreement between Australia and Bangladesh was announced in 2011 and it allows young people from these two countries to travel to each other’s countries in a work and holiday arrangement. Participants must be University-educated and the visa will allow you to work in Bangladesh for up to 12 months. Due to the fact that Australia is a much wealthier country than Bangladesh, it’s probably more likely that Bangladeshi people are taking advantage of the working holiday visa in Australia and not the other way around. If you were to work for local wages in this country, you’d be paid a very small amount compared to what you earn back home in Australia. However, it’s good to know it is still an option. Even if you don’t end up working, it’s a way to backpack longer around this fascinating country. According to this Wandering Earl blog post, he stayed in a hotel room in Bangladesh for 60 cents USD per night, so your travel savings could last you quite some time here! The BohoChica, a blogger who has covered Bangladesh. Belgium is more than just the home of fantastic waffles, chocolate and beer and administration of the European Union. 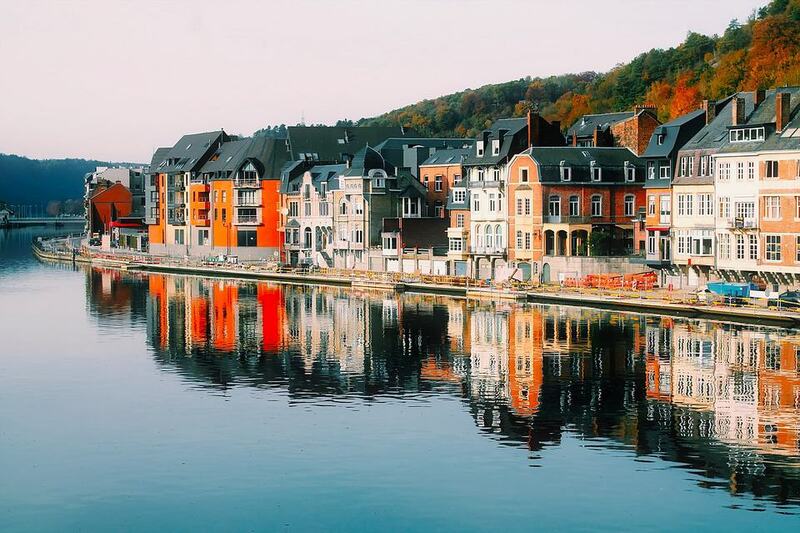 Located right in the middle of Western Europe, Belgium has a lot to enjoy. Architecture geeks will love the medieval castles and elegant Art Nouveau buildings and art lovers will have plenty of galleries to get lost in. Fairy-tale-like medieval towns like Bruges are ridiculously charming and magical. The Belgian countryside offers a wide range of landscapes, from dense forests to sandy beaches to the ridges of the Ardennes. Thanks to the Belgium Working Holiday Visa, citizens of Australia are allowed to stay for a maximum of one year and work during their stay to fund their travels. Traveling and enjoying Belgium must be your primary intention and employment must be incidental and accessory. Also, you will need to prove that you have a minimum of 2,500 Euro to support yourself and you must also have a valid return ticket – or enough funds to purchase the ticket. You’ll also need a medical report that states you are not suffering from any contagious diseases, which is valid for three months after the date of issue. I may be biased because this is my home country, but Canada is pretty awesome. It comes as no surprise that so many Australians come to the Great White North for a travel experience. Canada has some of the most amazing skiing and snowboarding in the world, incredible wild landscapes to explore, cities with lots of art and culture and lots of exciting work opportunities. Outdoor-loving Australians often end up working in skiing resorts such as Whistler and Banff, or in summer camps or national parks. 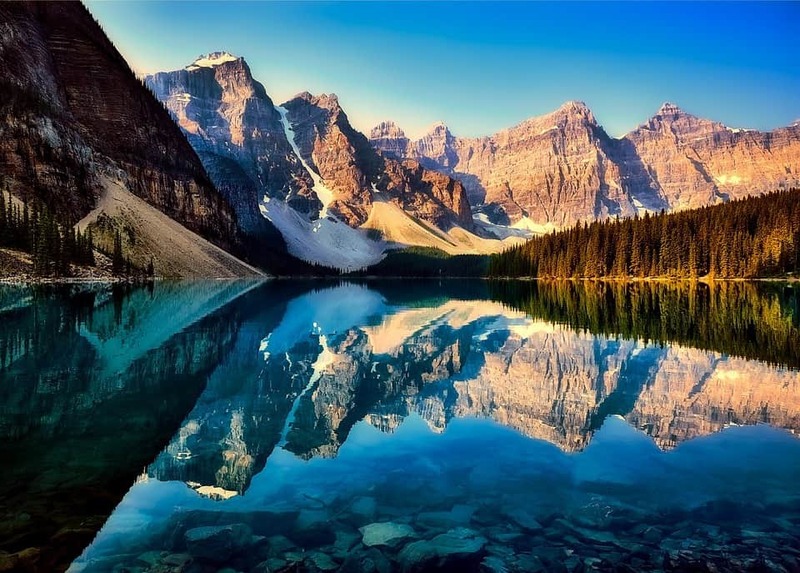 Canada is similar to Australia in the sense that it is an enormous country with a few big cities and lots of wild nature in between. However, it’s pretty different as well. Instead of poisonous snakes, deadly spiders and drop bears we have mountain lions, wolves and actual bears. Instead of barbeques on the beach we have cookouts around the campfire. Instead of a Tim Tam slam, we have s’mores (which get their name because they are so delicious that you always want s’more). Canada is a big country and from one side to the next it is as different as Melbourne is to Cairns. From the artsy, granola vibe of Vancouver Island to the wide open prairies to the big city lights of Toronto and the friendly Maritimes, you’re sure to find a part of Canada that you love. 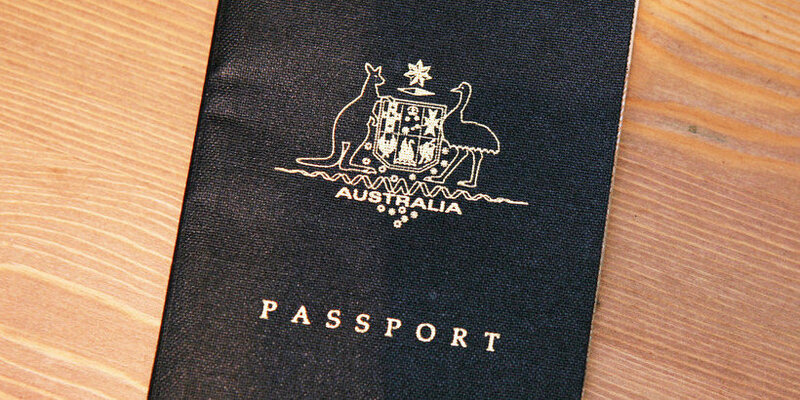 In order to be accepted onto the Working Holiday Visa program in Canada, you will need to be between the ages of 18 and 35, have a valid Australian passport for the duration of your stay, have health insurance for the duration of your stay and either have a round trip ticket or proof that you have enough funds to purchase a departure ticket. Your first step will be to become a candidate in one or more of the IEC (International Experience Canada) pools. Once you are in the pool, you will become an eligible candidate and you will be invited to apply for the work permit. Apply for the Working Holiday Visa in Canada. Info about the cost of living in Canada. Riding horseback on a beach and then settling down for a huge barbeque on a warm evening. Wandering through the street-art clad streets of Valparaiso. Dancing until dawn in Santiago’s nightclubs. Watching the stars in the vast Atacama Desert. Chile is so much fun to discover and you can have 12 months to make the most of your visit there. You’ll need to be between the ages of 18 and 31, have a return ticket and have enough medical insurance to cover your stay in Chile. During your stay, you’ll be allowed to work part-time or full time, but only for a maximum of six months for any one employer. So, that means you can’t work the full 12 months in one job – which is good in a way because you’ll want to do some moving around while you are there. You can apply for a visa at your Chilean embassy and you’ll need to show your passport, a medical report, a police report, an application form and the fee of $150 USD. If you are approved, you’ll get a letter than allows a temporary residence visa and you’ll have 90 days to enter Chile to activate it. 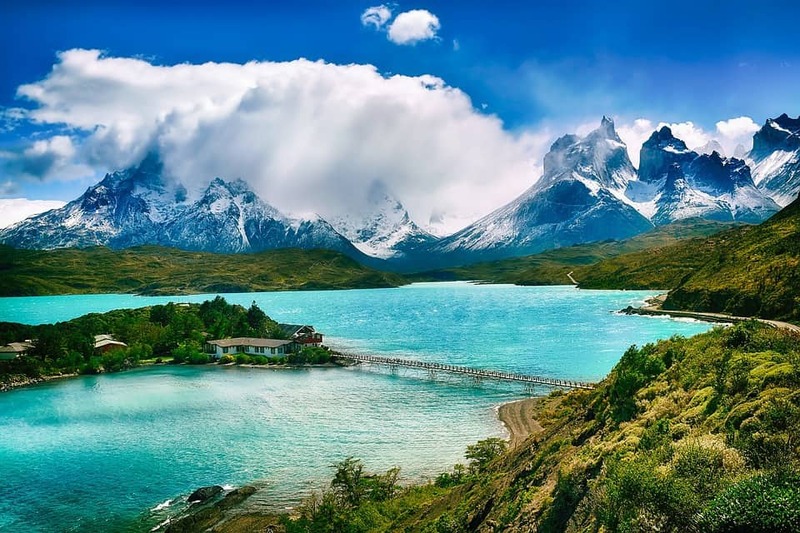 Once you have entered Chile, your visa will be valid for 12 months from that date. The Mediterranean sunshine, the turquoise water, the sandy beaches, the ancient ruins… there’s a lot of reasons why you would want to chill out in Cyprus for a while. The island consists of two different communities, the Greek Cypriot and Turkish Cypriot people, which are unique but linked by their rich history. 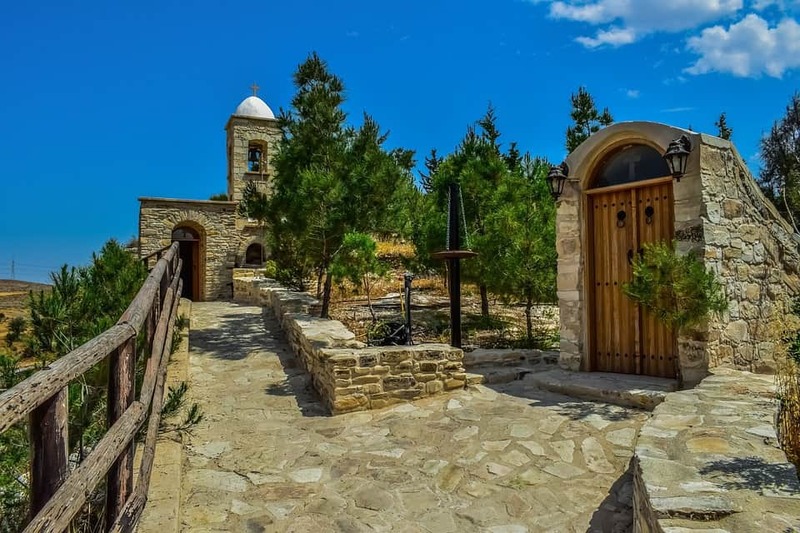 The third largest island in the Mediterranean after Sicily and Sardinia, Cyprus is a member of the European Union and has a population of around 800,000 people. Cyprus is a wonderful place for nature lovers, with many opportunities for water sports, hiking, biking and even skiing in the winter. 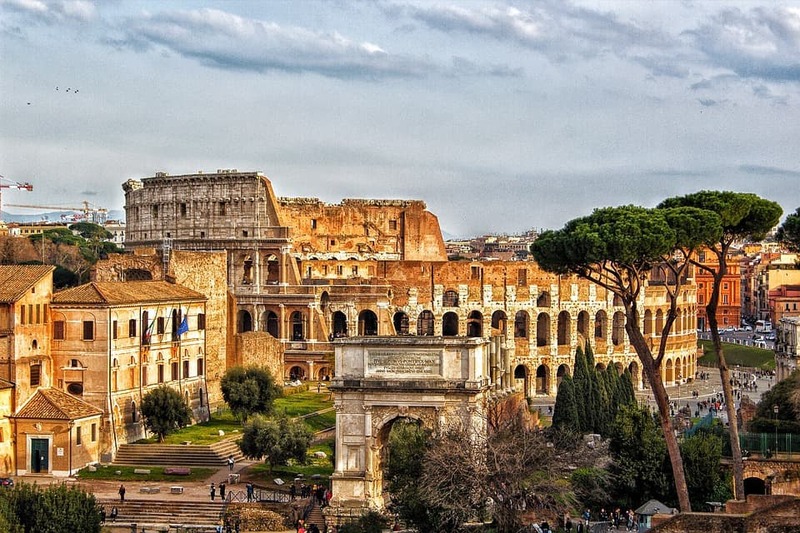 Also, there’s so much history to explore here – including ancient tombs, Roman mosaics, Byzantine churches and more. Then, there’s the food. Influenced by Greek, Turkish and Middle Eastern food, Cypriot cuisine is delicious. Citizens of Australia aged 18-25 can apply for a working holiday multiple entry visa, which will be valid for a period of one year from the date it is issued. You must apply for your visa from Australia. You must be of good health and sound background, have reasonable funds to maintain yourself through your stay in Cyprus, have a return ticket and not be accompanied by any dependent children. Many Australians on Working Holiday Visas find jobs in restaurants, cafes, bars and hotels in places such as Protaras and Ayia Napa. You may also find yourself fruit picking or WWOOFing as a way of earning while you travel. Have you ever thought of working abroad in Denmark? You’ll love the cool Scandinavian way of life. The museums here are world-class and feature history from the Viking era to the Danish Golden Age to contemporary art. The architecture features everything from Renaissance palaces to cutting edge modern buildings. It’s delightfully bike friendly, the music scene is superb and the beer is great. It’s no wonder Denmark ranked first on the UN World Happiness Report. You can apply for the Denmark visa as long as you are over 18 and haven’t turned 31 by the time you submit the application. You must prove that you have sufficient funds to pay for food and accomodation during the first two months of your stay (DKK 18,000, or approximately $3,900 AUD) and you must have an ongoing flight or be able to pay for your journey home. You’ll be allowed to work for up to 6 months, but you can’t work for the same employer for more than 3 months or take a regular job. You can also attend courses and enroll in an educational programme for up to 3 months of your stay. Also, you’re entitled to free Danish lessons! Pretty cool, huh? Denmark Working Holiday Visa – How to Apply (Isn’t this one of the most well-designed, easy to use immigration websites you have ever seen? Although Estonia has a similar geography and history to the other Baltic countries, Latvia and Lithuania, it is culturally quite different. The language and the traditions of bathing in saunas make it feel closer to somewhere like Finland. 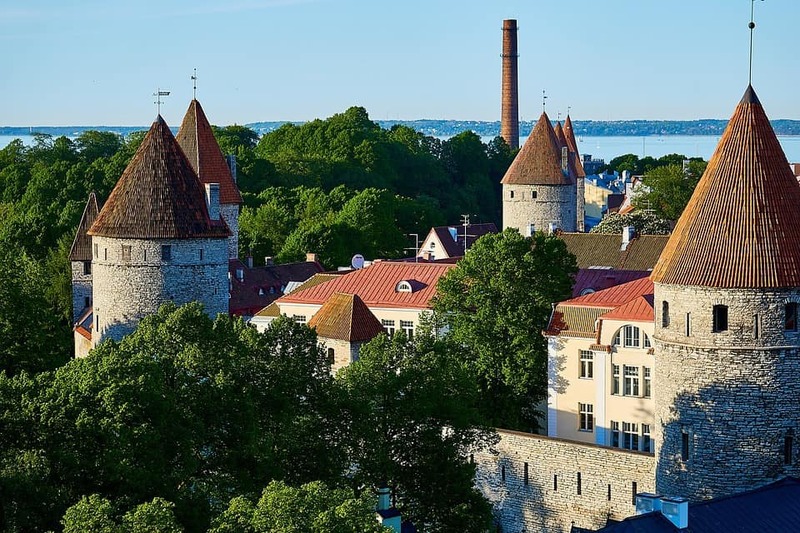 Emerging from Soviet rule, Estonia is experiencing a travel renaissance and the historic charms of Tallinn are creating quite a buzz. Plus, not only do the captivating cities offer fairytale like architecture, the spacious countryside and deep, thick forests offer a place for nature lovers to find peace. If you are a citizen of a non-EU country, you can work in Estonia for up to 6 months in a year with the D-visa. Your employer will need to register your short-term employment with the Estonian Police and the Border Guard Board. The work you do must support the main purpose of your stay, which should be to travel for recreation. You must not work for the same employer for more than three months. The long stay visa for short term employment will only be granted if you are working in certain types of jobs, such as teaching, working as a scientist (if you have the appropriate training), working as an au pair, working as a seasonal worker, etc. There is a list of the types of jobs on this website. In this vast Northern European country you’ll find huge forests, pristine lakes and unspoiled national parks, just ready to be explored. In the summer, the countryside comes to life as the locals try to soak up every moment of the brief, warm sunshine. In the winter, snow covers the pines and you’ll be in luck if you love skiing, snowboarding or other winter sports. 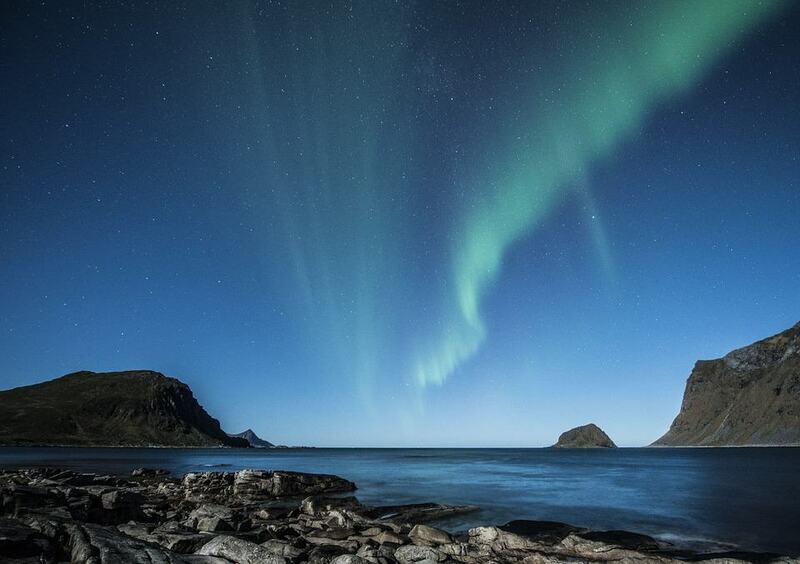 You might even get a chance to ride on a dog sled, or see the Northern Lights. If you choose to base yourself in the capital, Helsinki, you can enjoy a vibrant music and design scene and excellent restaurants showcasing cuisine from locally foraged ingredients. Citizens of Australia are permitted to reside in Finland for 12 months and to work to a limited extent. You must be between 18-30 years of age, not have a spouse or dependent children, not have had this permit in Finland before and must be in good health and of sound background. To apply for the Working Holiday Visa, you’ll need to submit two passport photos, the appropriate forms, a document providing proof of sufficient funds, a return ticket, the processing fee and a Registered Post Envelope so that your passport can be returned by mail. Guide for Australians: How to Become More Finn than a Finn? 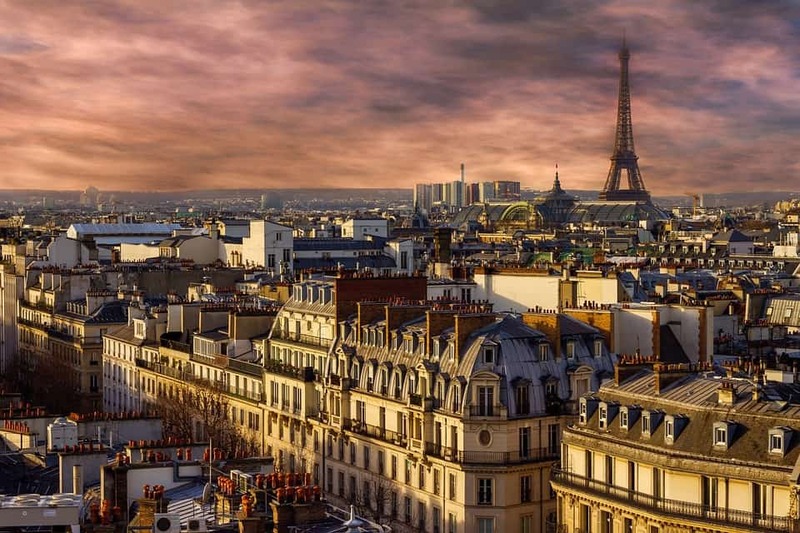 France has probably been on your travel bucket list for quite some time now, whether you are fascinated by the exquisite art collections and historic architecture of Paris, the beaches of the French Riviera, the peaceful villages or the battlefields of Normandy. From wineries to castles to delightful little local markets, France has oodles of charm and lots to enjoy. France offers a Working Holiday Visa that allows citizens from Australia to work for one year in France. You can apply up to three months before your arrival and it is a non-extendable visa. Also, if you hold this visa you may travel to other Schengen Zone countries for up to 3 months in any 6 month period. The primary purpose of your work must be to fund your travels, not to find long-term employment. You’ll need to submit some information, including your passport, the application form, proof of financial stability, proof of health insurance and a letter in English explaining why you want to go to France. 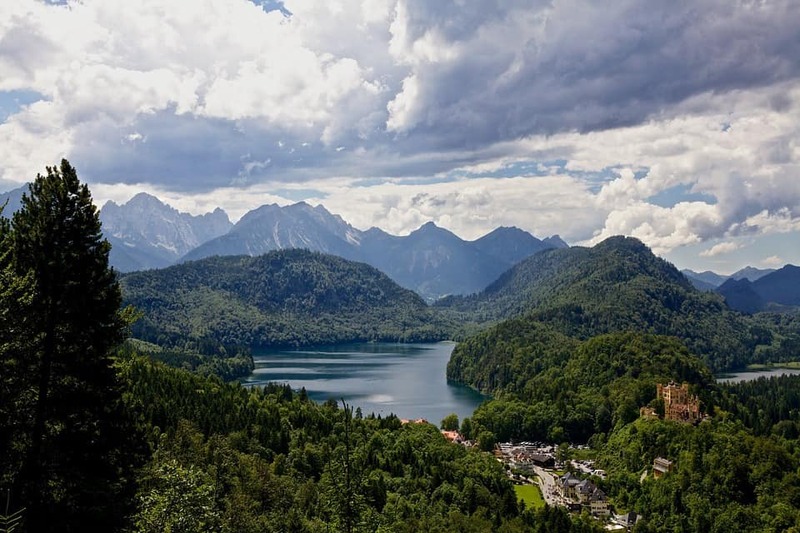 Germany is a pretty cool place to live for a while, whether you are in an adorable village in Bavaria or living the cultured urban life in Berlin. There are mountains to hike in, world class museums to visit and plenty of delicious bread and currywurst to enjoy. The visa will allow you to stay in Germany for up to 12 months and you’ll be able to work for any employer for as long as you want during that time, as long as you don’t stay longer than 12 months. You’ll only be able to participate in this program once. Your application for a Working Holiday visa in Germany must be lodged in person by making an appointment and submitting your application at the Consulate General in Sydney. Your fingerprints will be scanned as part of the application process. Make sure that your passport exceeds the length of your stay by at least 3 months. You’ll also have to pay a visa fee of 75 Euro. Usually the application takes around a week or two, but you are encouraged to apply well in advance. However, the earliest you can apply is three months before you plan to travel. 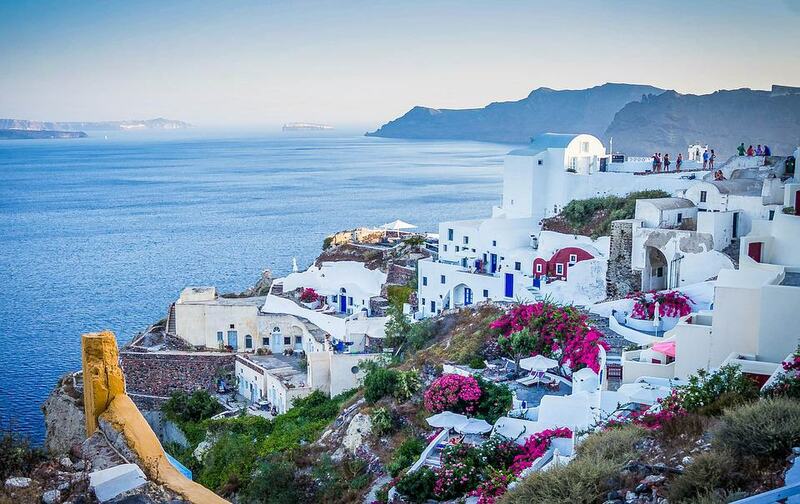 Want to spend a year eating delicious spanakopita, drinking wine and chilling out on some of the most beautiful beaches in Europe? I mean, who wouldn’t? Many backpackers in Greece end up working in the hospitality, nightlife and restaurant industry – especially in some of the sunny party spots on the right. After all, the non-stop party needs hosts to keep it going. You might spend your nights working in a bar and your days lounging on the beach – which sounds pretty damn good. Well, this Working Holiday Visa is a bit complicated and you’ll have to keep an eye on the news for the latest updates. It was approved by the Greek government in July of 2017. According to that article, it would allow Greeks and Australian nationals up to the age of 31 to work in each others countries for up to 12 months. At the moment there is a limit of 500 from each country per year, but there is talk that this may be expanded. However, according to an update in January of 2018, the Working Holiday Visa is still in limbo and is yet to start. It seems like it will be in place soon, but the two countries are just working out the details of the arrangement before they officially start taking applicants. This article says that those who are interested in applying are encouraged to call the Canberra Consular Office. I’ll keep this page updated when I hear news of how things are progressing! Hong Kong is like the New York of Asia. It’s a huge, flashy metropolis with a stunning harbour, a towering skyline and a vibrant food scene and it’s a hub of international culture, finance and business. Busy and action packed, you’d never have a dull moment living here. Although the city is dense and packed with wall to wall dining, nightlife, shopping and more, you don’t have to go far to escape it and find lush green walking trails, pretty beaches and peaceful gardens. Immersing yourself in the culture here will be a thrilling travel experience. Plus, it’s a fantastic hub for cheap flights to nearly anywhere else in Asia. 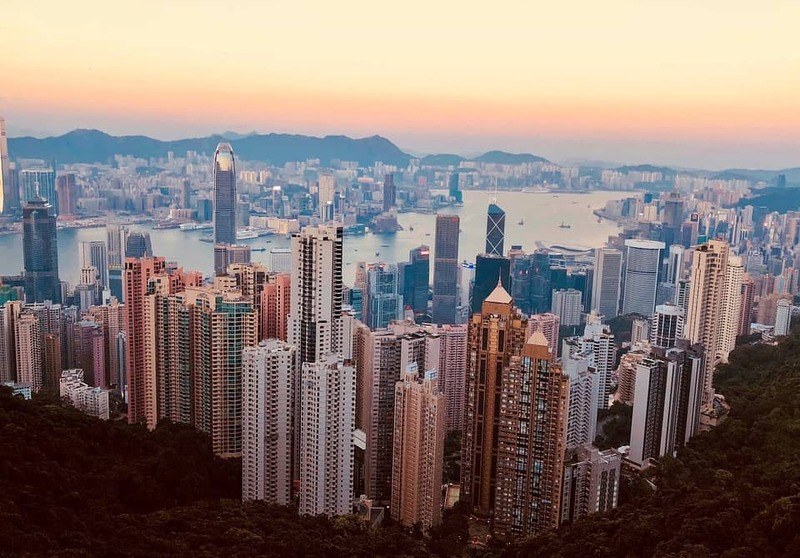 To apply for the Hong Kong Working Holiday Visa, Australians must be between the ages of 18-30, must have a valid passport and must be able to prove that they have enough money to support themselves (Approximately $3,300 AUD). You’ll also need to show proof of your return ticket and your medical insurance. You’ll be allowed to work, but not for the same employer for more than three months – as the main purpose of your trip should be travel and not employment. 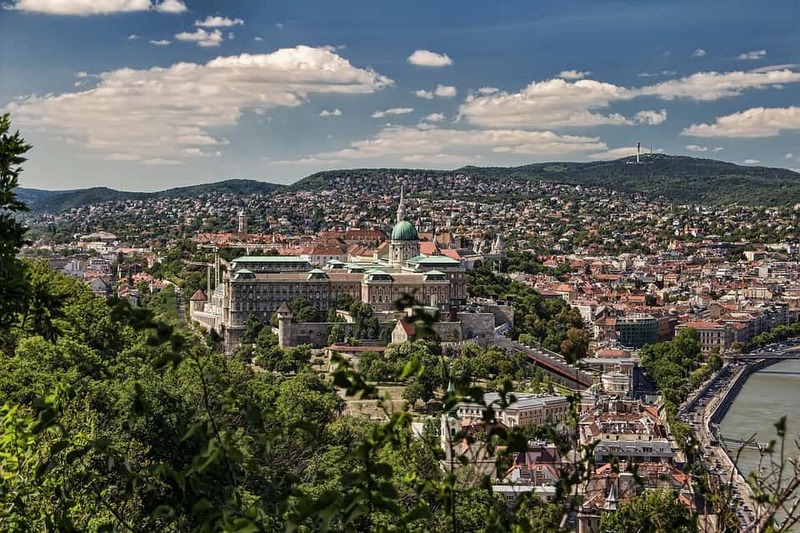 Living abroad in Hungary gives you the chance to immerse yourself in the culture and traditions of one of Europe’s oldest nations. Hungary was once a communist country and now it boasts a vibrant economy. Budapest is a damn cool city, with a great music scene and great “Ruin Pubs” that are set within old warehouses. It’s also home to an abundance of geothermal pools, with beautiful bath-houses located throughout the city. Citizens of Australia between the ages of 18 and 30 can apply for a one year Hungarian working holiday visa. This will allow you to stay within Hungary for one year, as well a travel within the rest of the Schengen Area for up to 90 days within an 180 day period. Whales, glaciers, thermal baths, the dazzling Northern Lights, fjords, waterfalls and a fantastic music, art and culture scene – Iceland should absolutely be on your travel list. Citizens of Australia between the ages of 18 and 30 can apply for a one year working holiday visa in Iceland. In fact, Australia is the only country that Iceland has a Working Holiday Visa arrangement with so far… so that’s pretty special! 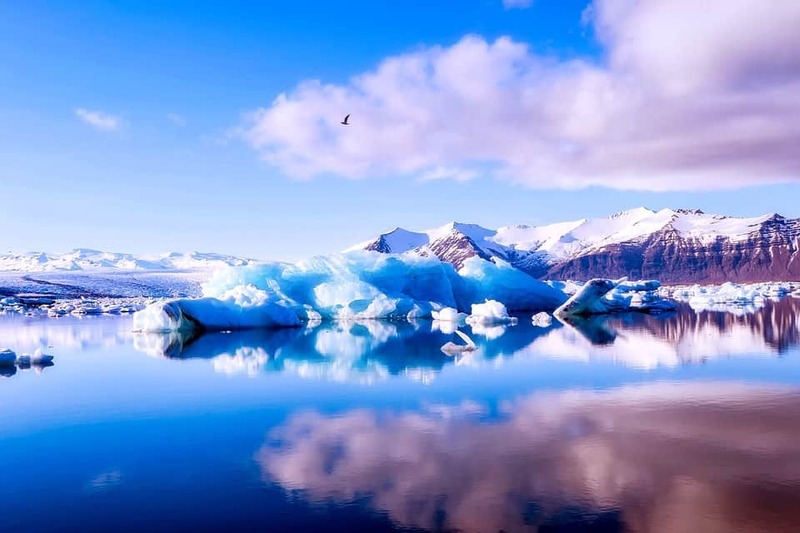 Iceland has seen a boom in popularity as a tourist destination in recent years, which means there are a lot of jobs opening up in the hospitality and service sectors – perfect for backpackers on a Working Holiday Visa. Advice on Finding a Job in Iceland from blogger Unlocking Kiki. Friendly people who love to sing and have a good time. Creamy pints of Guinness in a pub with live music. The wild and beautiful Cliffs of Moher. Rolling hills of green, flocks of sheep and crumbling stone castles. 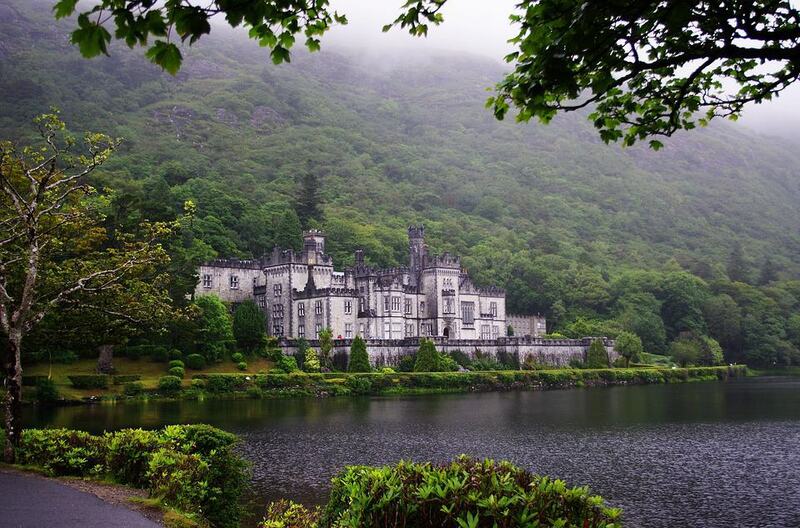 Ireland is a pretty magical place and there are lots of adventures to be had on a Working Holiday there. Australians are allowed to work and travel in Ireland for up to 12 months, as long as they are between the ages of 18 and 30. Places are limited and you won’t be able to apply if you are already in Ireland. You will be allowed to work for a maximum of six months with any one employer. When you apply, you will need to show that you have enough funds to support yourself. A minimum of $5,000 AUD is required, or $2,500 AUD if you have a return ticket to Australia. What Are Your Working Holiday Job Prospects in Ireland? Italy would be a fascinating place to work for a year. It is rich with culture and is home to some of the most iconic and architecture in the world. Plus, the food is legendary. Prepare to zoom around the streets of Rome on a Vespa, stuffing pizza in your mouth and searching for the best gelato. Life is good. The visa will allow you to work in Italy for no more than a total of 6 months and only for a maximum of 3 months for the same employer – as the principal purpose should be travel. In order to apply, you must be between the ages of 18-30 and have a return ticket (or sufficient funds to purchase one). Japan is a wonderfully strange place. From sipping green tea with monks in a historic temple to watching robots dance for you while you dine at a futuristic restaurant, you can have a huge range of experiences here. The Working Holiday Visa for Japan is available for Australian citizens aged 18-30 and you must show that you have AU $2,500 in funds to support yourself during your stay. The neon streets are lively and feel like a sci-fi film set and the peaceful countryside with its traditional architecture, cedar groves, fields of wildflowers and snow capped mountains looks like a traditional woodblock print. You’ll be delighted by something different every day when you are working abroad in Japan. There are many great opportunities for working abroad, including working in a ski resort, teaching English and much more. Keep in mind that the requirements state that the applicant’s primary aim should be to holiday in Japan, not to work or study. So, your work should only be to supplement your travels and not the main intention of your trip. The article went viral, because the people of Malta were pretty excited that a big publication was talking about them. (They don’t get mentioned too often.) 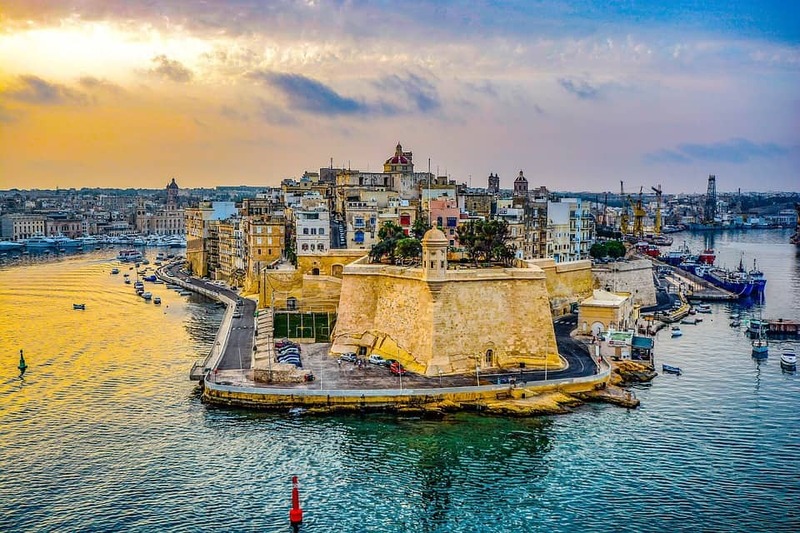 Maltese hotels and restaurants contacted Chack to offer her free stays and the story was covered by many news stations. But even after this, Malta is still a considerably underrated destination and it doesn’t receive as much love as it should. There’s so much to enjoy here, from the original paintings of Caravaggio to the Sunday Fish Market to the Classic Car Museum and the fascinating megalithic temples. It really is a gem and the good news is that Australians can work abroad there for up to 12 months. 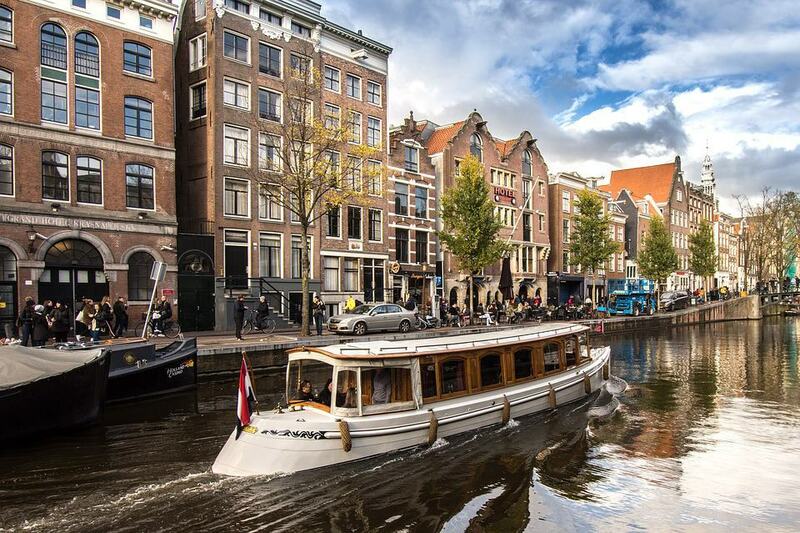 You’ve probably heard about the Red Light District and the magic brownies of Amsterdam, but there’s so much more to enjoy about the Netherlands. 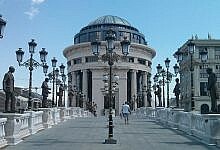 This small European country is friendly and laid back and full of world class art galleries, peaceful countryside, delicious pastries and cities that are designed to be bike and pedestrian friendly. If you love the great outdoors, it would be a wonderful place to spend your year abroad. Plus, Dutch people are very welcoming and most speak fluent English. Along with being open-minded and creative, the Netherlands is also one of the wealthiest countries in the world and it offers a lot of great job opportunities, one of the lowest rates of unemployment in the EU and a high standard of living. Australia and the Netherlands have a long history and the Working Holiday Program was created to celebrate their friendship. When you have this visa you will be able to live and work in the Netherlands for up to a year and you must show that you either have a ticket for your return flight or that you have enough money to pay for the return flight. Norway could be considered similar to Australia – it’s a huge country, sparsely populated and known for its varied, gorgeous scenery. However, the sights in Norway could not be more different than what you are used to at home – enormous glaciers, fjords, rugged rocky mountains and some of the world’s tallest waterfalls. Your incredible Norwegian adventure may include skiing, canyoning, snowmobile safaris and staying up to marvel at the strange phenomenon of the Midnight Sun. 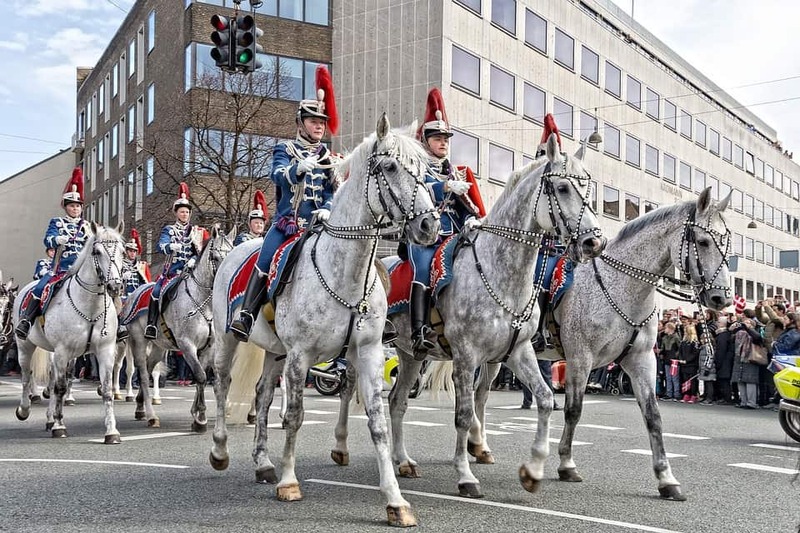 Oslo is a very cool city with excellent night life, great museums, lively festivals and much more. Plus, there are other intriguing cities where you could work, including Alesund, Bergen and Stavanger. Although Norway is one of the most expensive countries in the world, this is reflected in the fact that the quality of living is extremely high and so are the salaries. To apply for this visa, you’ll need to have proof that you can support yourself for the first 3 months of your stay as well as a health certificate and a hotel booking or other proof that you have somewhere to stay in Norway. So, You Want to Come to Norway to Find Work? Poland is a destination that is becoming more and more popular with tourists – for good reason. It has a lot to see and do, not too many tourists and the people are friendly. You can go exploring in the ancient Bialowieza Forest, visit a medieval castle, check out world class museums or go hiking or skiing in the stunning Tatras Mountains. 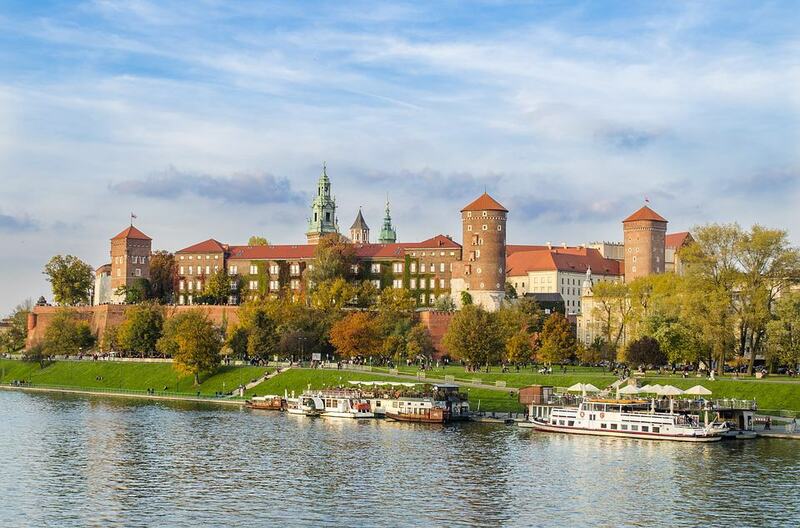 You’ll be delighted by the vibrant cultural life of Warsaw and charmed by the historic, cobbled streets of Krakow. Plus, did you know that the northern coast of Poland is covered in idyllic white sand beaches? Oh, and don’t forget about the pierogi… I dream about those glorious little dumplings! Poland and Australia have a special working holiday arrangement that allows citizens aged between 18 and 31 to work and travel for up to 12 months – giving you plenty of time to enjoy everything Poland has to offer. Portugal has a special place in my heart, because it’s the first place where Lee and I started our digital nomad journey. Everyone I know who has been to this beautiful country has raved about the natural beauty, the architecture, the food and the laid back pace of life. Portugal is home to some truly amazing wines, centuries-old castles, towering mountain peaks and golden sandy beaches. Plus, it’s friendly on your budget. You can enjoy historic charm for half the price it would be in Spain or Italy. 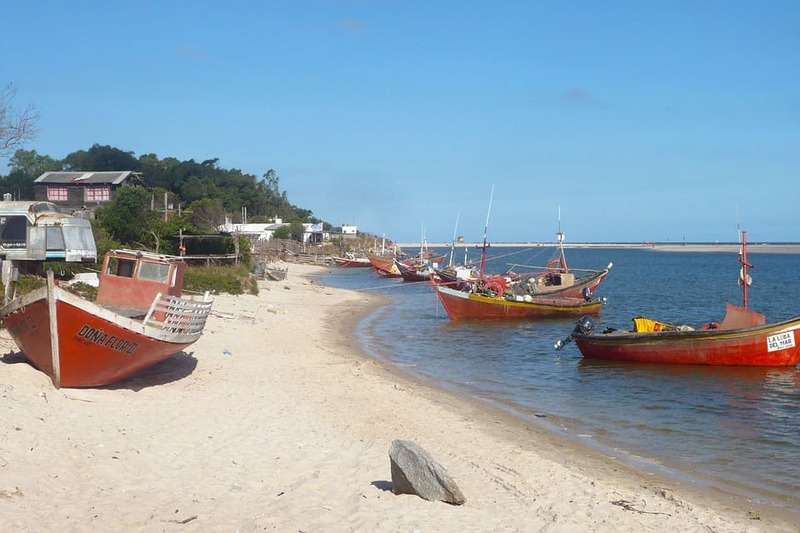 There are 200 places available each year for the working holiday visa in Portugal and the fee is currently, $180.45 AUD (subject to exchange rate). Lee and I ended up in Slovakia on a whim when we were traveling around Eastern Europe. We had planned to go to Vienna that day, but we saw a cheap train ticket to Bratislava instead so we changed plans at the last moment. Turns out, we LOVED Bratislava and we ended up staying there for 10 days. 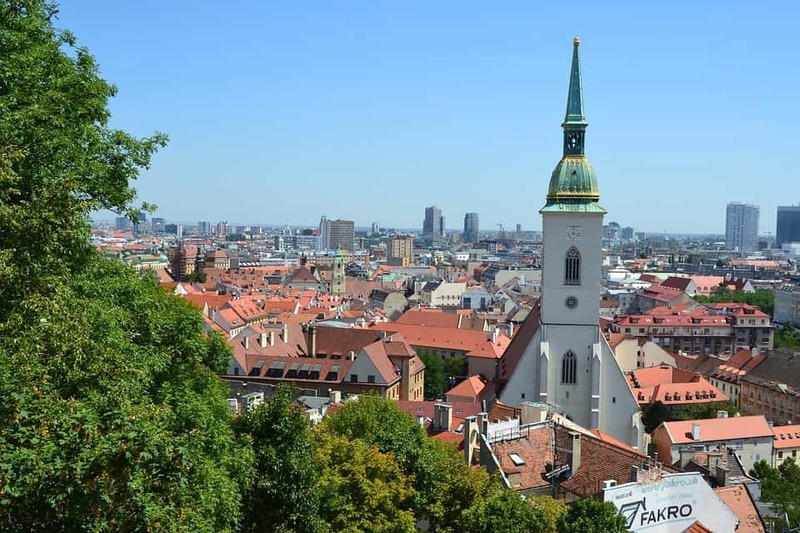 There isn’t a lot of information online about the Australia/Slovakia working holiday visa. However, there is some information from Anywork Anywhere that states citizens of Australia, New Zealand, Japan, Taiwan and Canada between the ages of 18 and 30 can apply for the visa and work in Slovakia for one year. I also found this 2015 article from the Australian Minister for Foreign Affairs, which announces that the Australian/Slovakian Working Holiday arrangement has just been launched. There isn’t a ton of other information online about the Slovakian working holiday visa, so it’s a bit of a mystery. I suggest calling up the Embassy of Slovakia in Australia and arranging a meeting to find out more. Embassy of Slovakia in Australia. From K-pop to fried octopus tentacles to cute French-inspired cafes to late night karaoke to misty mountains and elegant traditional wooden houses, Korea is so much fun to explore. Although it’s known as the Land of the Morning Calm, the busy streets of Seoul never seem to slow down. When Lee and I were there, I got obsessed with the many tiny art galleries featuring stunning works by creative locals, the adorable socks for sale in every market, the wonderfully weird street food and the hedonistic joy of Korean barbeque. Also, we only had to travel a short way out of Seoul to find ourselves hiking the summits of craggy mountains and exploring tranquil temples. 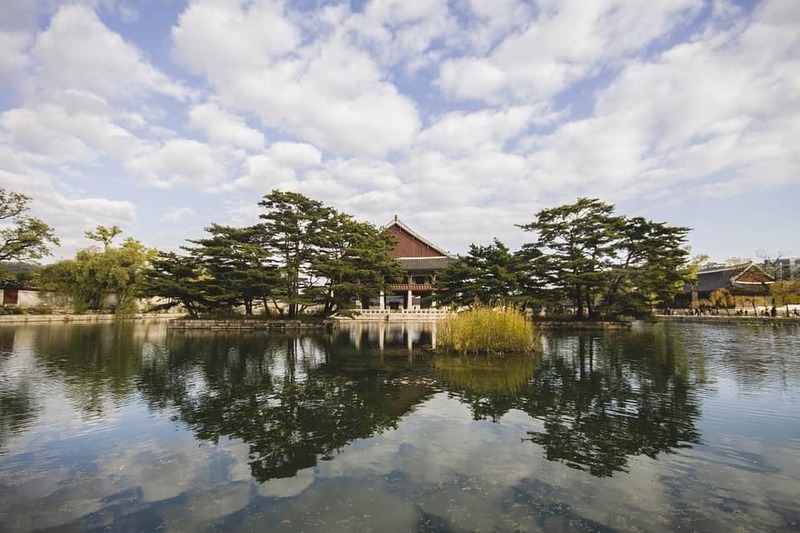 Like most working holiday visas, the visa in South Korea is designed to encourage tourism and working must not be the primary purpose of your stay. Also, there are some restrictions on the type of work you can do – you cannot work as a doctor, lawyer, teacher, reporter, pilot or researcher and you cannot work as a singer, receptionist, dancer or acrobat in places of entertainment. 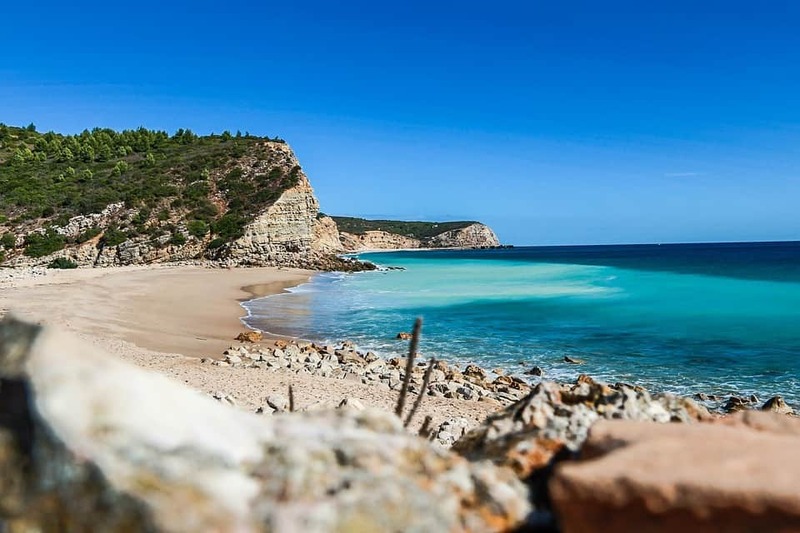 If you are looking for a place to spend your gap year which has sunny beaches and beautiful landscapes as well as world famous cuisine, excellent museums and plenty of history – Spain would not be a bad choice. If you want to hike in the mountains you have the snow-capped Sierra Nevada or the Pyrenees, with timeless villages perched on the hilltops. 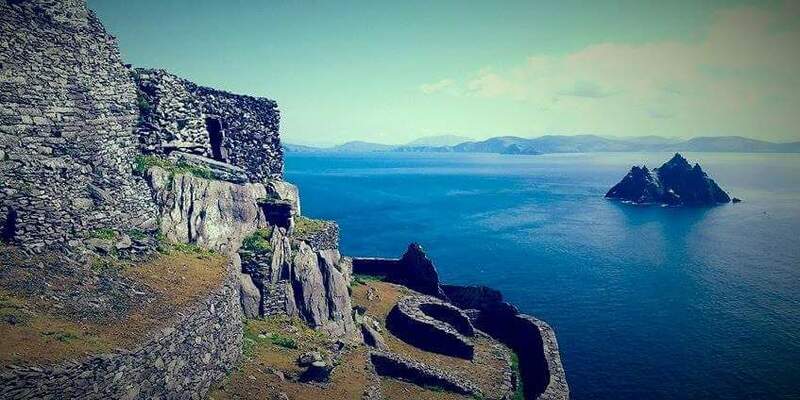 Many civilisations have left their mark here, from the Romans to the Moors, and their influence can be seen in the ancient ruins and architecture. Plus, in Spain the next fiesta is never far away. 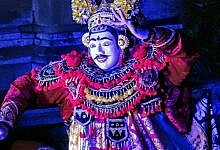 This country really knows how to celebrate with food, nightlife and traditional parties with brightly coloured costumes and music. 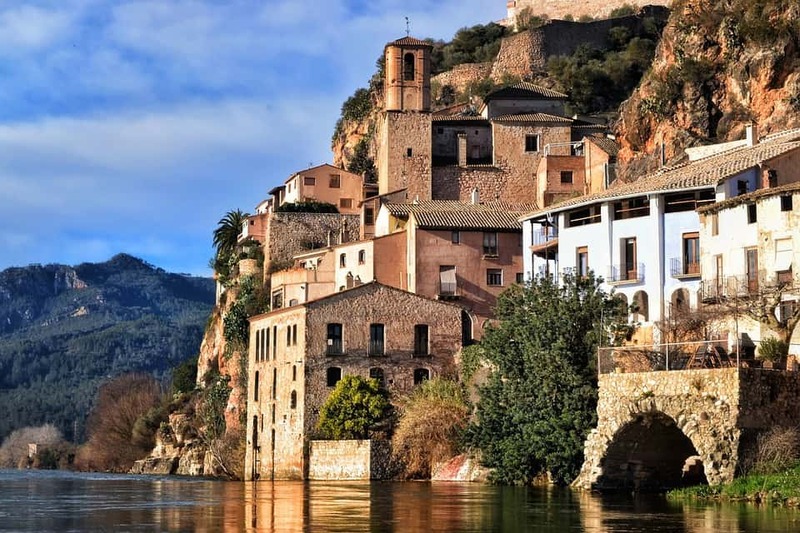 Millions of tourists come to Spain every year to enjoy the culture – but you could live here and have even more time to soak up the atmosphere and enjoy the Spanish way of life. Citizens of Australia, Canada, and New Zealand between the ages of 18 and 30 can apply for a one year Spanish working holiday visa. This Youth Mobility Program was established in 2014. Applications for the visa can be submitted at the Consular section of the Embassy of Spain in Canberra. Keep in mind you will not be allowed to work for the same employer for more than six months during your stay and you will need to prove that you have a functional level of Spanish. Sweden is wild and beautiful – the type of place where you might need to stop your car on the highway because there is a herd of reindeer crossing the road. 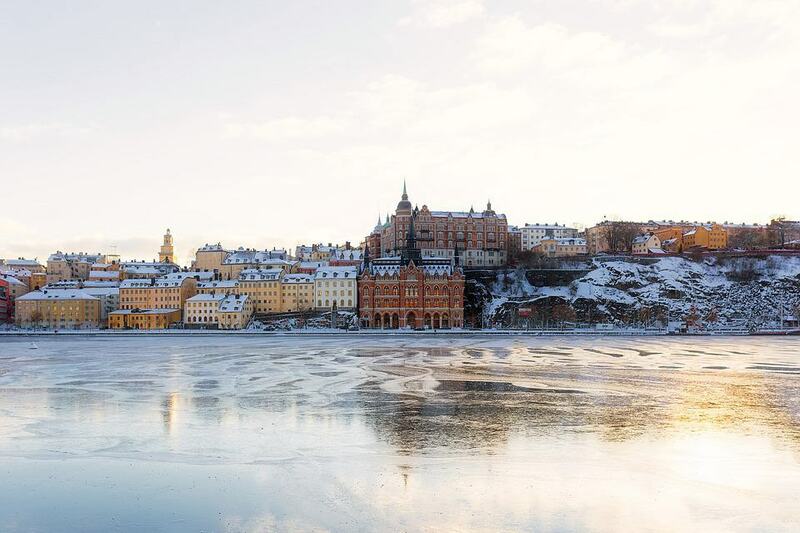 Whether you are out hiking in the 29 national parks, or soaking up the culture and the Viking history in the capital Stockholm, there’s a lot to enjoy here. After you’ve had a big day of exploring, soothe your tired muscles in a traditional Swedish sauna. The Working Holiday Visa in Sweden will allow you to spend up to a year in Sweden while being allowed to work. You must be between the ages of 18 and 30, have a valid passport and be able to show that you have at least 15,000 SEK to support yourself initially ($2,313 AUD). You must also show that you have a return ticket (or enough money to buy one). Just a word of warning – Sweden might not be the easiest country to work abroad. It can be challenging to find jobs, as Sweden is a small country with a very well-educated job market and you’ll face a lot of competition. 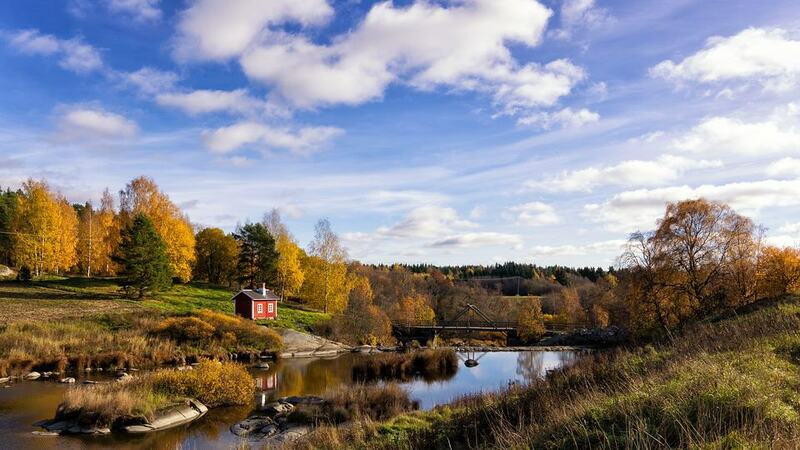 However, if you can make it happen Sweden is a gorgeous setting with a high quality of life. 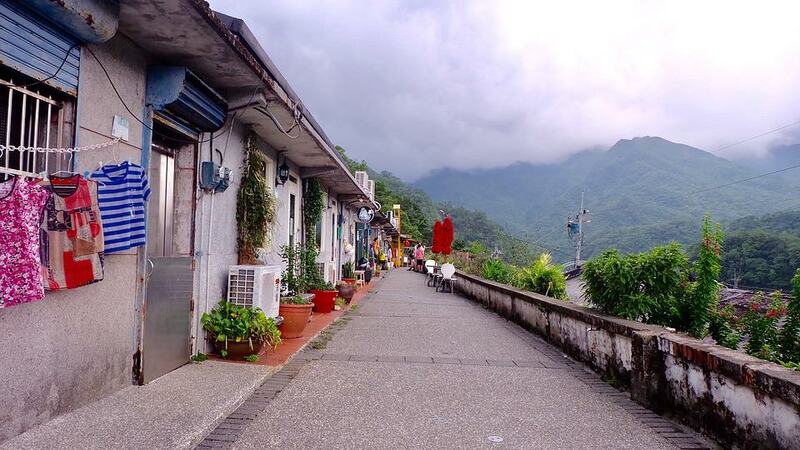 When the Portuguese sailors saw Taiwan in the 1500s, they referred to it as Ilha Formosa – The Beautiful Island. When you see the lush rainforests and beautiful scenery, it’s not hard to see why. When you head to the country you’ll find national parks with mountains, beaches and dormant volcanoes – dotted with ancient temples. Or, hang out in the cities and get lost in the non-stop food and drink scene, fantastic shopping and the lively night markets. Young Australians between the ages of 18 and 30 can work in Taiwan for 12 months. Similar to many other visas, the primary purpose of the Working Holiday Scheme is to holiday – work should be secondary. During your visit you may also partake in short term language study. You must be able to prove that you have $100,000 New Taiwan Dollars (approximately $4,448 AUD) to support yourself during your stay in Taiwan. Many Aussies have considered doing visiting Thailand as a part of their Gap Year – it’s a pretty popular spot for backpackers. However, when you enter on a visitor visa you only get one month in Thailand. What if you were able to stay in Thailand for up to a year, working and traveling your way around this beautiful tropical country? You could eat street food and go shopping in Bangkok, hang out on the gorgeous beaches of the islands or go hiking in the hills of the North. 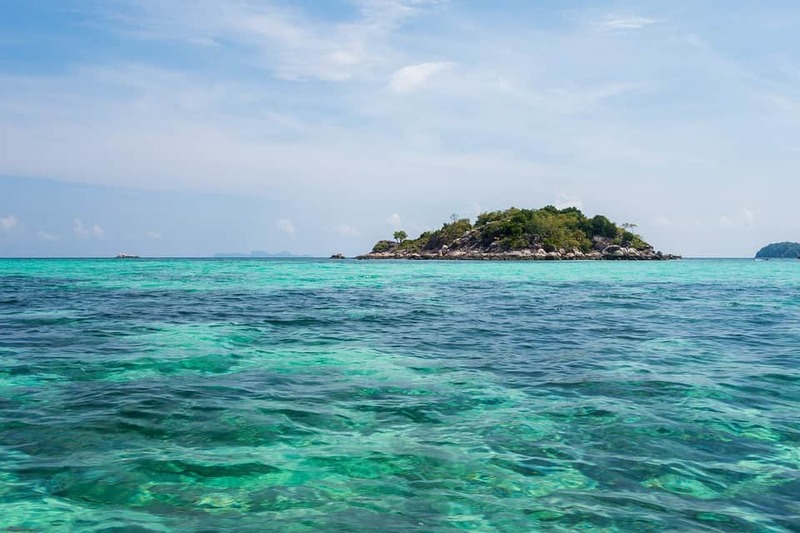 Life in Thailand is laid back and relaxing and there’s something for you whether you want to live a party lifestyle or find total peace and relaxation. The Thailand Working Holiday Visa is only available for Australians and New Zealanders and you must be between the ages of 18 and 30 when you apply. Also you are required to have tertiary qualifications – which means full time courses with at least 3 years of study. Also, you’ll need to prove that you have at least $5,000 AUD to support yourself. There are a lot of reasons to love living in Turkey. The cities have thousands of years of history and stunning UNESCO World Heritage sites. (The Hagia Sophia in Istanbul is simply awe-inspiring). You can visit world-class museums, marvel at the architecture and get lost in bazaars selling beautiful handicrafts, clothing and jewellery. There are also sandy beaches, the otherworldly rock formations of Cappadocia and also a cheap cost of living. Plus, there’s the thrill of being able to eat delicious, authentic Turkish food all the time. 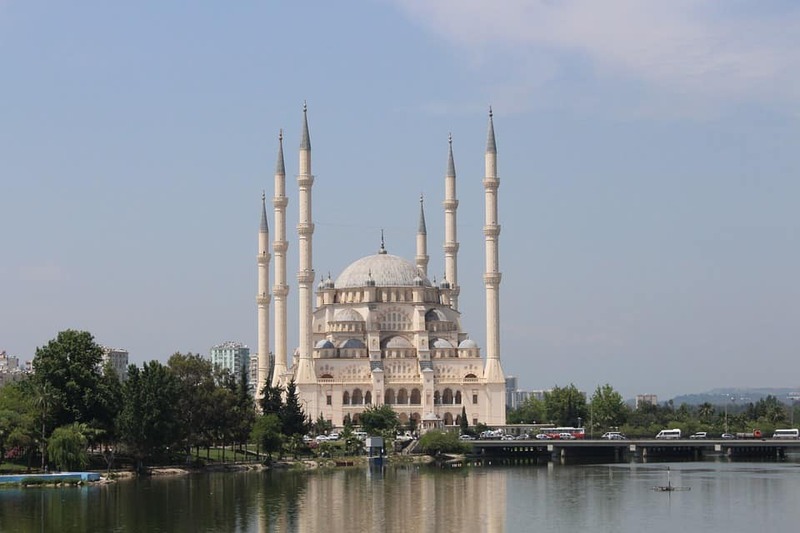 The Working Holiday Visa in Turkey is another one of the special ones that only Aussies and New Zealanders can get. It allows participants between the pages of 18 and 30 to stay for 12 months in Turkey and work to supplement their travel funds. Now, I might be biased because it’s where my partner is from… but I think the UK is one of the best countries to work abroad in. Yes, the weather is cold and rainy. BUT – if you are into history, architecture, museums, live music, comedy, art and culture it can’t be beat. Plus, the scenery is so pretty – pastoral rolling hills, crumbling castles, tranquil lakes, centuries-old stone walls, pretty little timber-frame villages – it feels like exploring a story book. 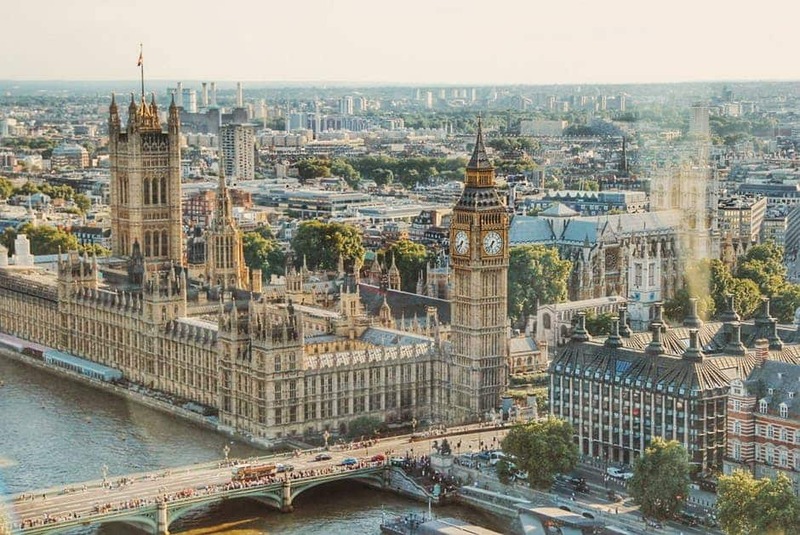 The Working Holiday Visa in the UK allows foreign nationals between the ages of 18 and 30 to work and travel in the UK for up to 12 months. You’ll need to show that you have at least $4,000 AUD in the bank to support yourself and you submit your application through the UK Border Agency’s website. It’s also one of the leading meat producers in the world and the locals have perfected the art of mouthwatering barbequed steak. Oh, and you’ll be buzzing if you get hooked on Mate – a caffeine-rich herbal infused drink that Uruguayans love even more than coffee. Uruguay was the 10th country to join the Working Holiday Visa program with Australia, back in 2012. There is an annual limit of 200 work and holiday visas for both countries and participants must be university educated. 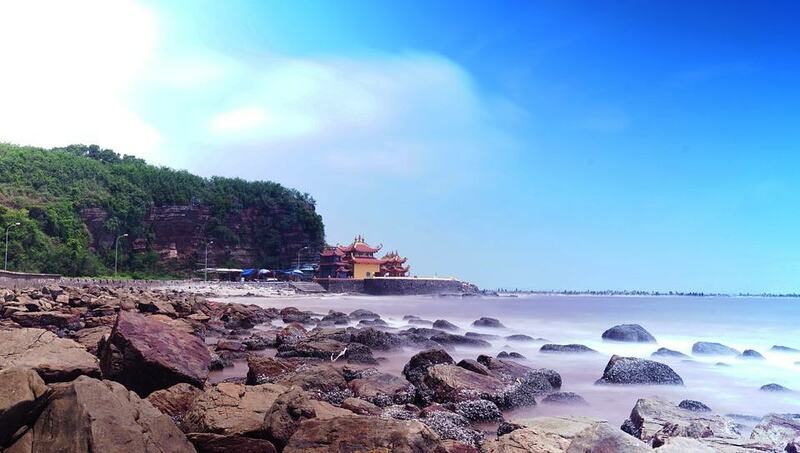 Vietnam is a popular travel destination for many Australians. The cities are exciting, the food is phenomenal (Who doesn’t love Pho?) and the beaches are great. Plus, there are a lot of naturally stunning places to explore – such as the misty, mysterious rock formations of Halong Bay. There isn’t a ton of information about this program online, but in my research I found that the visa allows you to stay in the country for 12 months, work for 6 months and study for up to 4 months. Also, it is a multiple entry visa so you can leave and re-enter as many times as you like while the visa is valid. If you have found any more information about working holiday visas for Australians, or if you are aware of any recent changes to the visas mentioned above please let us know in the comments below so that we can keep this resource as up to date as possible. I’d heard of Working Holiday Visas but I did not realise I had so many options. Thank you for posting this. What’s with the age limits?? Blatant ageism!! I’m 50 and I want to travel and work. Does this mean I can’t? I usually don’t comment – but this is one of the MOST informative posts about travel and work visas I have ever read! Thank you so much for posting this! I’m travelling the Schengen zone now and the 90 day rule is terrible for non-EUs. You mentioned that France and Hungary allows travel within the rest of the Schengen Area for up to 90 days within an 180 day period. Does this mean that the other Schengen countries on the list do not allow this? I’m thinking of obtaining a working holiday visa just so I can travel Europe for about a year. The UK has 24 month working holiday visa not a 12. This is really useful! Thank you. What happens if you’re 30 and obtain a visa – do you have to return before your 31’st birthday or are you able to utilise up to the maximum period that the permit would allow? I’m struggling to answer this technicality!